For the record Joe Panik is one of my favorite ballplayers, for any team, period. He is a gamer. He is smart. He is classy and humble. He has a bit of a knack for the big hit and he is a homegrown Giants talent. The thought of him leaving or being traded breaks my heart. This past season was not kind to Joey Baseball. The combination of two injuries breaking up his momentum and his demotion to a platoon player sharing time with Alen Hanson or Chase d’Arnaud along with his downturn in batting average and mobility have hurt his stock both within the organization and throughout Major League Baseball. What I find most alarming is the decrease in his speed and range. This may be due to a few factors such as a recurring or lingering injury. Remember Joe Panik’s issues with his back from a heavy slide at second base by another player as he was turning a double play? At 27 Joe Panik is not getting old. He did not suddenly become a lesser baseball player through inertia or bad faith. My guess is there are subtle but important physical factors involved in his numbers and the Giants know about them. To think Joe Baseball is not Joey Baseball makes me sad and mad. It’s hard to fathom when you consider his age and all the promise he showed in 2015 and 2017. We shall see what the future holds with a new GM and a new head of Baseball Operations in the works. 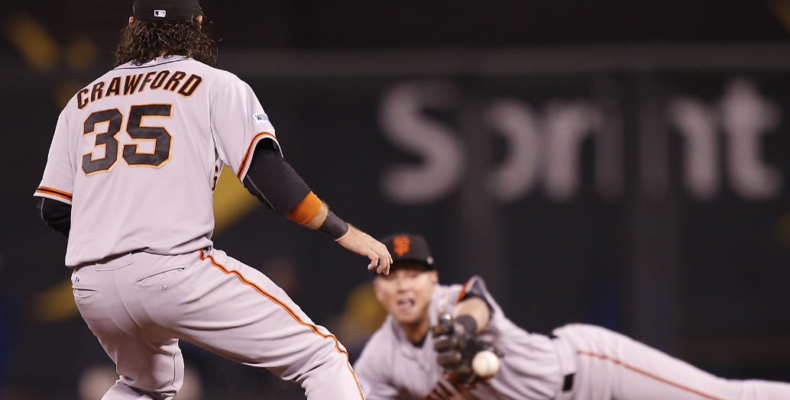 It is likely the arbitration eligible second baseman will receive an offer from the Giants in the offseason. What remains to be seen is what the new Giants front office will do in 2019. With Panik’s stock probably at an all-time low in terms of trade value my guess is the wisest thing to do is hold on to him and nurse him back to health and greatness. At least that is what I am hoping for.